Another ice sculpture from today. 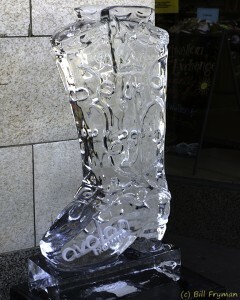 This would be one cold cowboy boot if you had to wear it :-). At The Loop Ice Carnival 2013 in University City today many of the restaurants and stores had ice sculptures tailored to their individual business. This one outside Blueberry Hill was the first one I saw today and set the standard for others. I’ll be posting some of the other sculptures as I get the photos processed. After visiting the Missouri Botanical Garden this morning, I went to The Loop Ice Carnival in University City. 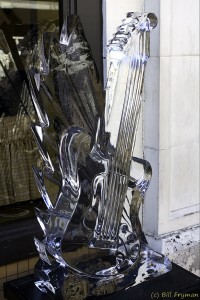 Many of the stores and restaurants had ice sculptures carved and decorated to emphasize their business. 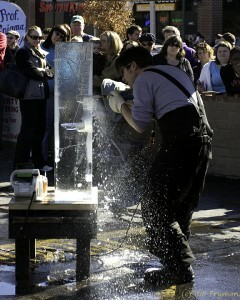 In addition, this chain saw ice sculptor was working where visitors to the Carnival could stop and watch him work. 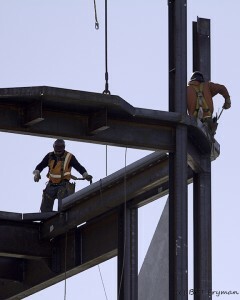 Steelworkers on the new Business School buildings at Washington University, Saturday, January 19. 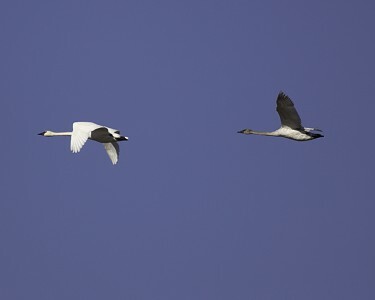 Seems a little strange to see them working on the weekend. 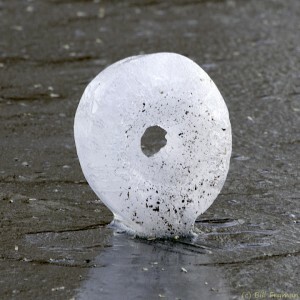 I was walking around the lake at the Missouri Botanical Garden this morning when this piece of ice caught my eye. 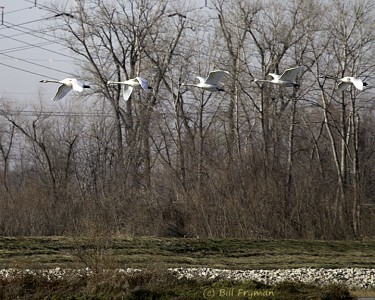 It was about 20 feet off shore and the ice was not strong enough for anyone to have walked out to where this was. It reminds me of a donut and was about the size of a donut as well.